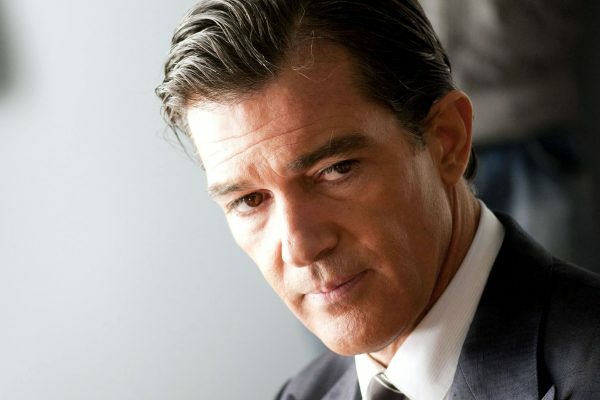 It seems that things are not looking great for famous actor Antonio Banderas. According to the latest rumors, the star was hospitalized once again after dealing with chest pain. The star experienced severe chest pains about two months after suffering a cardiac episode, it has been claimed. 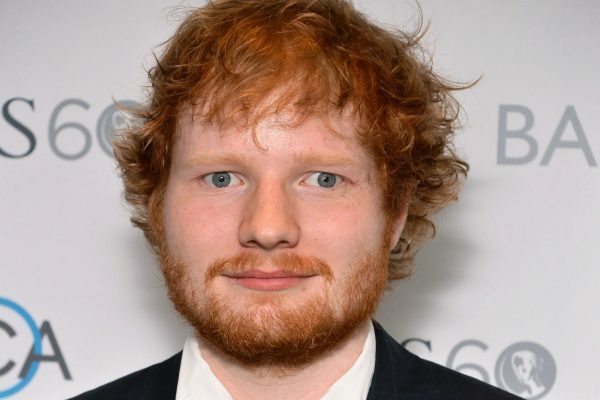 So, it has been revealed that the Hollywood actor was rushed to the hospital after experiencing similar symptoms with the ones dating back to two months ago. The actor is currently under treatment at Clinique de Genolier, in Switzerland. Fans definitely remember that in January, Antonio Banderas was rushed to the hospital with major heart scare. He was working out when the episode occurred. Banderas, who is 56 years old, was initially under treatment at St Peter’s Hospital in Chertsey, but he was later released from the medical facility after his situation improved. When doctors told him that he was in good condition, the actor went home. His hospitalization was at that time officially confirmed by a rep for the famous actor. “We can confirm that last Thursday Antonio was admitted to the hospital after having experienced chest pains while exercising,” the representative of the actor said at that moment. “However, Antonio was released the same day after doctors performed a check-up which confirmed his good health,” he went on to add. And it surely seemed that Antonio Banderas was doing better, as he was soon after seen in London enjoying a good time with his girlfriend, Nicole Kimpel. Still, some reports claimed that the famous actor was still not doing perfectly well, as Nicole was seen to be driving the car. It remains unknown for the moment if the rumors are true and how the actor is doing. Furthermore, it has been claimed that it is not very clear if the famous actor would be able to attend an awards ceremony in Spain this week. The actor is expected to receive the Lifetime Achievement Award at this event. There were no official comments from the actor on this subject. Antonio Banderas has been living for two years now in the UK. He moved in 2015 in an impressive property in Surrey. Hugh Jackman to Play Enzo Ferrari’s Role? 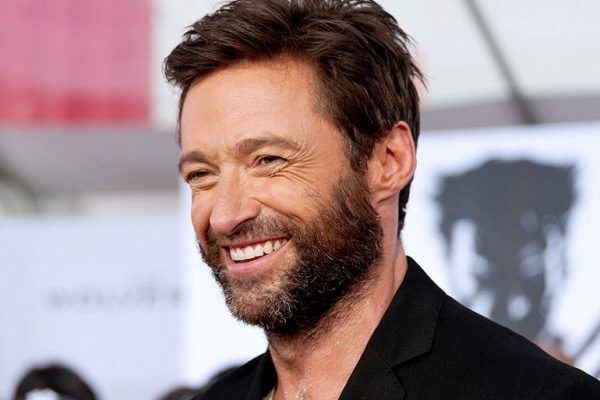 A new interesting role is in the books for famous actor Hugh Jackman. The star could be playing the role of Enzo Ferrari in a new biopic. Without a doubt, this is a very interesting project. Another name that has been mentioned in relation to this new project is Noomi Rapace, who will play the role of Ferrari’s estranged wife. The project seems to be very interesting and Hugh Jackman is definitely a very much expected appearance in such a role. The upcoming biopic is directed by Michael Mann. Deadline reported that both Jackman and Noomi are in talks with the producers for these roles. And if the project will soon start filming, it would surely be a very important step forward. So, it is important to mention that this project has been in development for no less than 17 years. It was started by Michael Mann along with now late director Sidney Pollack. However, it seems that the project was always on hold, but maybe now things have changed and Mann is finally determined to focus on it. If the project will go forward and Jackman will be confirmed for the role of motor racing driver and businessman Enzo Ferrari, this would actually be the first project for the director since 2015. Mann initially tried to cast Christian Bale to play the role of Enzo Ferrari. So, Bale was set to play this role about two years ago, but the famous Batman actor later decided to drop off the project because he was supposed to gain a lot of weight for the role of Enzo Ferrari. Maybe, Hugh Jackman will take on the challenge. The action in this upcoming movie is set to take place in 1957 and will be focused on the battle that Ferrari had back then with rivals such as Maseratti. Without a doubt, it will be a very interesting project and many fans will be eager to discover this story. Bringing High Jackman on board would be a success, considering the great talent of the star and his worldwide appreciation for roles such as the one in Logan. The latest episode of Kim Kardashian’s reality series, Keeping Up with the Kardashians, will finally present Kim’s testimony on the Paris robbery that took place in 2016. The event was very traumatic for Kim, who was actually robbed at gunpoint while being in Paris. The star decided to talk about what she had been through with her sisters Kourtney and Khloe, and she described her experience in tears. Well, unfortunately for fans, for now, there is only a preview of the next week’s episode of Keeping Up with the Kardashians available, meaning that fans will have to wait until they will be able to discover the whole story shared by Kim. In the preview, Kim talks about the moment when several masked men broke into her apartment in Paris in October. Kim was in tears as she told her sisters what happened. “They ask for money. I said I don’t have any money,” Kim said. “They dragged me out on to the hallway on top of the stairs. That’s when I saw the gun clear, like clear as day. I was kind of looking at the gun, looking down back at the stairs,” she went on to explain. “I was like; ‘I have a split second in my mind to make this quick decision.’ Am I going to run down the stairs and either be shot in the back? It makes me so upset to think about it. Either they’re going to shoot me in the back, or if I make it and they don’t, if the elevator does not open in time, or the stairs are locked, then like I’m f—ed. There’s no way out,” Kim said. During the robbery, the thieves stole from Kim jewelry valued as several millions of dollars. They also took a ring valued at $4 million. Kim kept a very low profile after the robbery. The star stayed away of the spotlight, avoided sharing things on social media and drastically reduced her public appearances. No less than 10 people were charged in connection with the robbery in January. 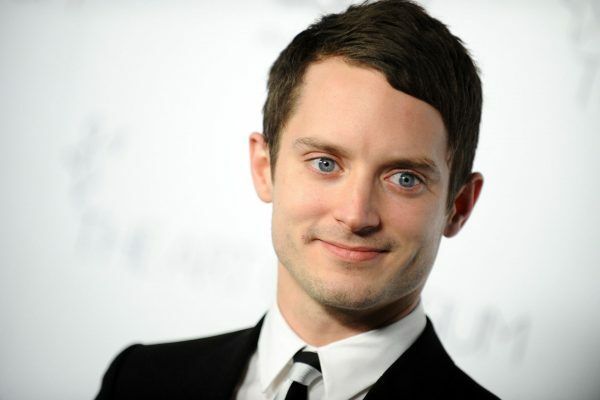 Famous actor Elijah Wood surely made some curious and shocking revelations. The famous actor said during a new interview that there actually is a pedophilia problem in Hollywood. Without a doubt, his claims came as a shock for many. “Clearly something major was going on in Hollywood. It was all organized. There are a lot of vipers in this industry, people who only have their own interests in mind,” Elijah Wood said during a new interview with the Sunday Times. “There is darkness in the underbelly. What bums me about these situations is that the victims can’t speak as loudly as the people in power. That’s the tragedy of attempting to reveal what is happening to innocent people: they can be squashed, but their lives have been irreparably damaged,” he went on to add. “If you’re innocent, you have very little knowledge of the world and you want to succeed,” the famous actor explained. “People with parasitic interests will see you as their prey. What upsets me about these situations is that the victims can’t speak as loudly as the people in power,” Wood added. Luckily, Elijah Wood had no tragic experience as a child actor in Hollywood, but claimed that this was his case only because his mother protected him and prevented him from attending the parties at which such things were happening. Elijah Wood claimed that he believes that these things are still occurring in Hollywood. As imagined, the actor did not reveal too much detail on his claims, so there are no specific situations shared or names revealed in his interview. Well, allegations against a lot of senior Hollywood names have emerged in the most recent years. And some actors also made certain revelations. For example, Corey Feldman, a former child actor, revealed that he was surrounded by abusers while working in the industry as a teenager. “The No. 1 problem in Hollywood was and is—and always will be—pedophilia,” Feldman said during an interview dating back to 2011. Feldman was very direct in his interview and managed to cause a lot of headlines at the time when the claims were first made. La La Land was without a doubt one of the main winners of last night’s Oscar Awards ceremony. And Emma Stone, the female star of this movie, was also one of the winners. 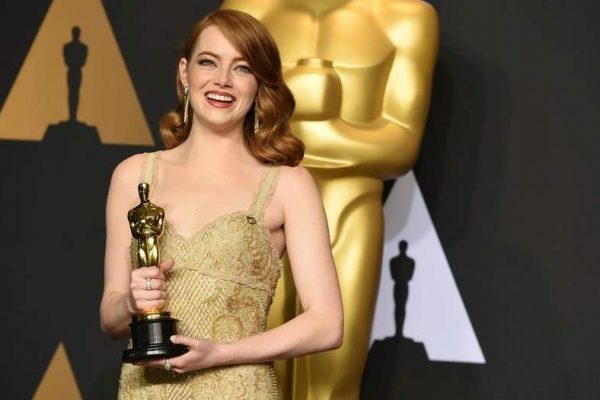 Emma won the Oscar for her great performance in La La Land and actually this was no surprise. So, it was widely expected that Emma would get an award at the Academy Awards ceremony. Emma was, naturally, very emotional, and she tearfully accepted the award. Of course, Emma was nominated for Best Actress alongside some powerful names in the industry, including Natalie Portman, Meryl Streep, Ruth Negga and Isabelle Huppert. In her acceptance speech, Emma thanked all her close ones for their support. “I realize a moment like this is a huge confluence of luck and opportunity and so I want to thank Damien Chazelle for the opportunity to be part of a project that was so special and once in a lifetime,” Emma started her speech. “I’m so grateful to have been involved in this film and thank you for your faith and your patience and such a wonderful experience, and Ryan Gosling, thank you for making me laugh and for always raising the bar and for being the greatest partner on this crazy adventure,” the beautiful star went on to add. Emma also kept her modesty and said that there are still a lot of things she has to learn. “I still have a lot of growing and learning and work to do and this guy is a really beautiful symbol to continue on that journey. And I’m so grateful for that,” the talented actress concluded. Well, Emma’s speech was surely an emotional and beautiful moment, and there is no doubt in the fact that the actress deserves all the appreciation for her amazing performance. The movie itself, La La Land, was much appreciated and won a series of awards at the Oscars. It got the award for cinematography, directing, but also for production design, original song and original score. Ryan Gosling, who starred with Emma in La La Land was also nominated for an Oscar for Best Actor, but the award finally went to another star, Casey Affleck. The Oscars were extremely interesting, but also filled with some unexpected events. The 2017 Academy Awards brought to light some new winners and of course, the most important awards, meaning the Best Picture, the Best Actress and the Best Actor brought some surprises. When it comes to the Best Picture category things were actually a bit dramatic. Moonlight won Best Picture after what will remain in the history of the Oscars as an unexpected and confusing moment. Initially, it was revealed that La La Land was the winner in the Best Picture category. 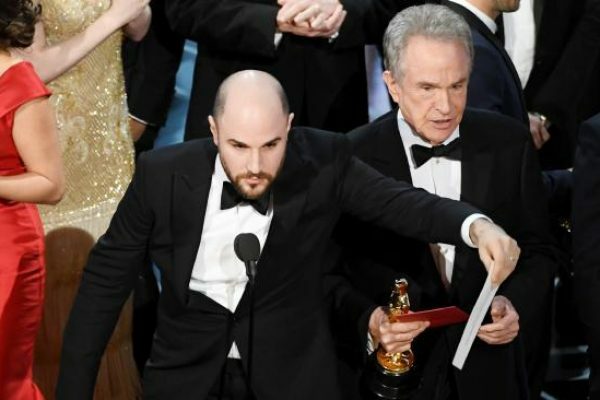 After everyone went on stage, it was actually revealed that a mistake was done and the actual winner was Moonlight. Without a doubt, the moment was undesired and the crew from La La Band had to leave the stage, while the crew from Moonlight came to take their award. Well, at least when it comes to Best Actress and Best Actor, things were simpler. In the Best Actress category, the result was definitely expected. Emma Stone won the award for her great performance in La La Land. Actually, Emma was expected to win and the star was extremely happy and visibly emotional with the honor. When it comes to Best Actor, actually the winner was a surprise for some. Casey Affleck, the brother of famous actor Ben Affleck, took home the award. The fact that Casey Affleck won was quite surprising, as numerous voices claimed that the winner would actually be Ryan Gosling. Other nominees in the Best Actor category were Andrew Garfield, Viggo Mortenson and Denzel Washington. “I think we’re the only two brothers to win Academy Awards,” Casey Affleck said, naturally referring to his brother Ben. “I’ve learned a lot from him; he’s been through a lot in this business,” he went on to add. After his speech at the Oscars, it has been claimed that Casey regretted not thanking his children. Ben Affleck’s upcoming movie, The Batman, is already dealing with some issues. So, it has been reported that Matt Reeves is not going to direct The Batman. Allegedly, he backed out of the negotiations although nothing much has been revealed on this subject. So, Matt Reeves, who is well known as the director of the Rise of the Planet of the Apes, may not work on this project. Initially, Ben Affleck was supposed to direct the new movie, but he finally decided to step down from this role. Immediately after, rumors started to say that the movie will be directed by Matt Reeves. Well, that is not going to happen, as reports revealed that the negotiations between Reeves and Warner Bros stopped. The Hollywood Reporter claimed that although the exact reason which led to the end of negotiations between the two parties has not been revealed, maybe there is still room for talks. Of course, Warner Bros is not going to let go of the idea of releasing this movie, so, after all, anything can happen. Well, it is important to mention at this point that Warner Bros has been dealing with a lot of challenges ever since it started working on this project. 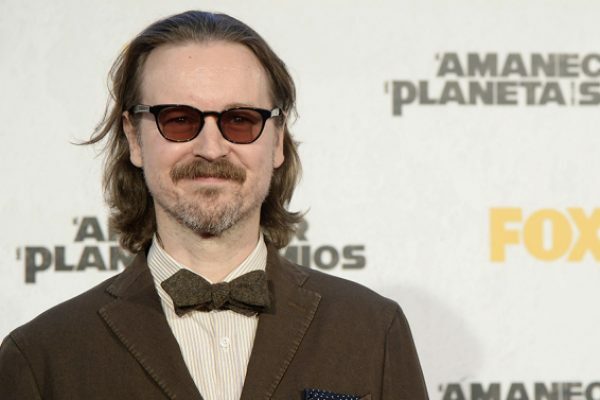 Reportedly, the famous company will move to search for another director if a deal with Reeves cannot be reached. However, it is a pity that the parties could not reach an agreement, as it has previously been revealed that Matt was on the same page with Ben Affleck when it comes to the project and the two shared the same creative vision. When it comes to Matt Reeves, it is safe to say that the star is quite busy. He has been working on War for the Plant of the Apes, which is set to be out in the summer. On the other hand, Ben Affleck, who will star in the movie, previously refused to take the role of a director, saying that it would be too much for him, considering the complexity of his acting role which requires a lot of passion and commitment for a great performance. Months after the official separation from her former husband Brad Pitt, Angelina Jolie has finally decided to open up about her divorce. This is actually the first time when Angelina has spoken about the separation which occurred in 2016. She talked about her personal life during a visit to Cambodia. The star is actually in this country to promote her newest directorial work, movie First They Killed My Father. So, Angelina talked to BBC World News and said that the divorce has been a “difficult” time for the family. As imagined, Angelina did not want to reveal a lot about this event in her personal life, but she did say that despite the split they will always remain a family. “I don’t want to say very much about that, except to say it was a very difficult time and… and we are a family and we will always be a family, and we will get through this time and hopefully be a stronger family for it,” Angelina said. The actress also revealed a bit about how she manages to cope with everything. So, Angelina said that she is actually able to deal with everything by focusing on her children. “Many, many people find themselves in this situation,” the star said. “My whole, my family … we’ve all being through a difficult time. My focus is my children, our children… and my focus is finding this way through,” she went on to explain. “We are and forever will be a family. I am coping with finding a way through to make sure that this somehow makes us stronger and closer,” Angelina concluded. Angelina also admitted that things have not been simple, but without a doubt the star manages to handle everything well. Angelina also said that she hopes that in five years she will be traveling to visit her children in different parts of the world doing all kind of interesting things. The star also said that she will always support her children. Angelina also talked about her new movie and said that she hoped that this project would help the world better understand Cambodia and the country be more visible to the world. Angelina Jolie and Brad Pitt might not be doing that well when it comes to their relationship. According to the latest reports, the actress actually worries that her husband might leave her. And Angelina fears that Brad could end up their marriage for Marion Cotillard. The news was reported by In Touch magazine, which claimed that Brad and Marion have gotten quite close on the set of their latest movie. The two actors work together on the upcoming drama, Allied. So, the report said that Angelina really fears that she will lose her husband because of the famous actress. The source claimed that Angelina has her reasons to be scared, as Brad is falling in love with Marion the way he fell for Angelina years back. Angelina Jolie and Brad Pitt first met on the set of Mr. and Mrs. Smith, back in 2005. At that time, the actor was married with famous Friends star Jennifer Aniston. However, Brad and Angelina fell in love and have been together ever since. Of course, Brad and Jennifer divorced. Their separation was absolutely shocking, as at that time Brad and Jennifer were one of the most famous celebrity couples in the world. “[‘Allied’] description sounds very similar to the plot of ‘Mr. & Mrs. Smith’, where Angelina and Brad first sparked the affair that ended Brad and Jen’s marriage,” the source explained. The insider went on to say that Brad might like Marion because she is very similar to Angelina. As expected, Brad and Angelina have not commented on the report. Marion Cotillard has also remained silent about the claims. However, as usual, Gossip Cop came to dismiss the claims. A source talking to the celebrity site said that the whole story is “nonsense” and Angelina is not worried that her husband might leave her for Marion.